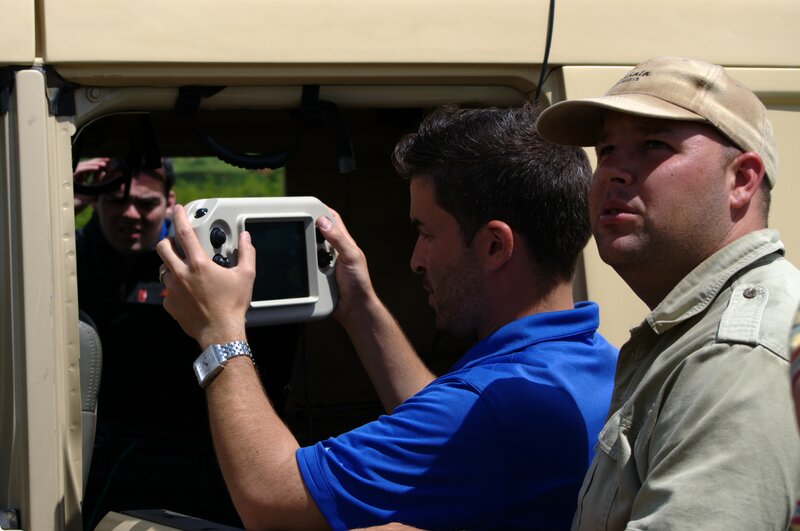 This is the eighth in a series of posts reporting on the Wildlife Conservation UAV Challenge fact-finding mission to South Africa. CHALLENGE UPDATE: 100 teams from 20 countries and 6 continents have signed up to compete. 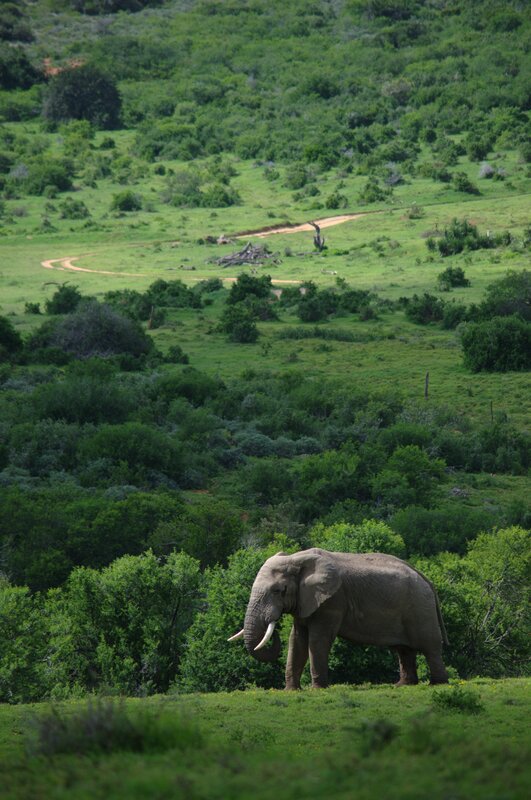 PORT ELIZABETH, SOUTH AFRICA — Wildlife conservation in South Africa encompasses two main realms, the government-run national parks service and private game reserves. Both require strong counter poaching programs to protect their animals but only government-owned parks can legally fly UAVs without special exception. 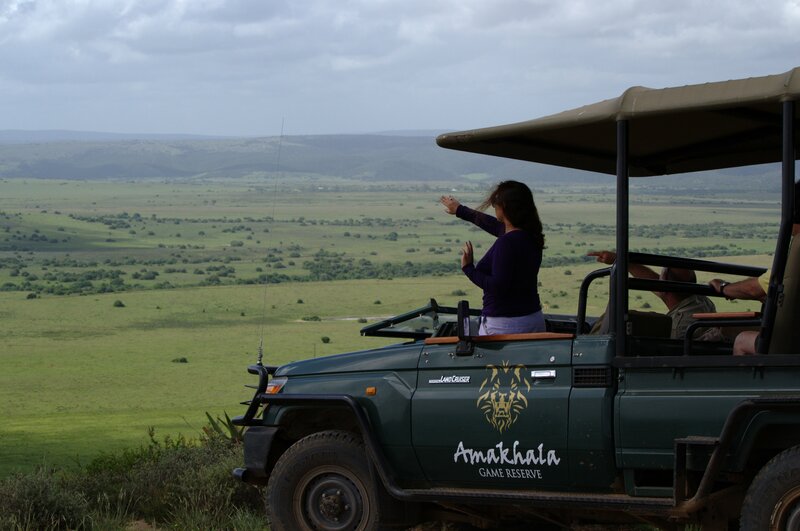 To investigate the difference, we ventured nearly 1500km south from Kruger to the Amakhala Game Reserve in the Eastern Cape. 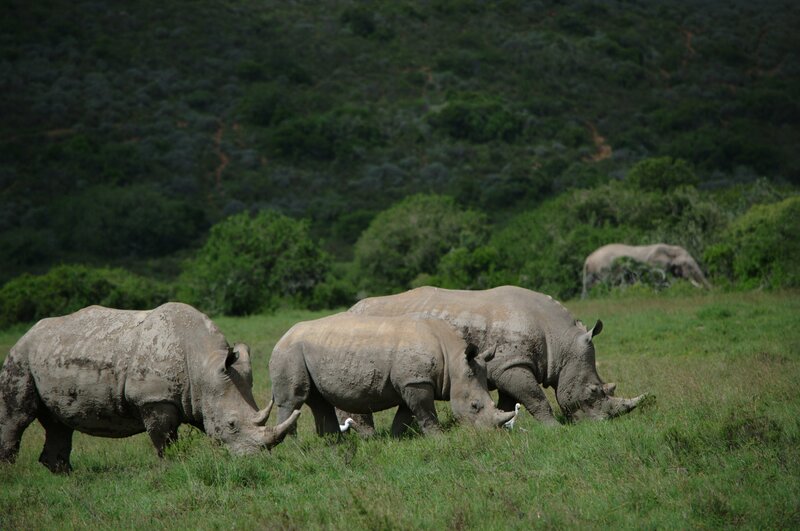 Similar to the U.S.’s Federal Aviation Administration (FAA), South Africa’s Civil Air Authority (CAA) has yet to produce the UAV regulations private game reserve owners need to legally fly UAVs for counter poaching. Like the U.S., the CAA says they will begin integrating UAVs into civil aviation by 2015. Owners are delaying investment in UAV technology as a result. 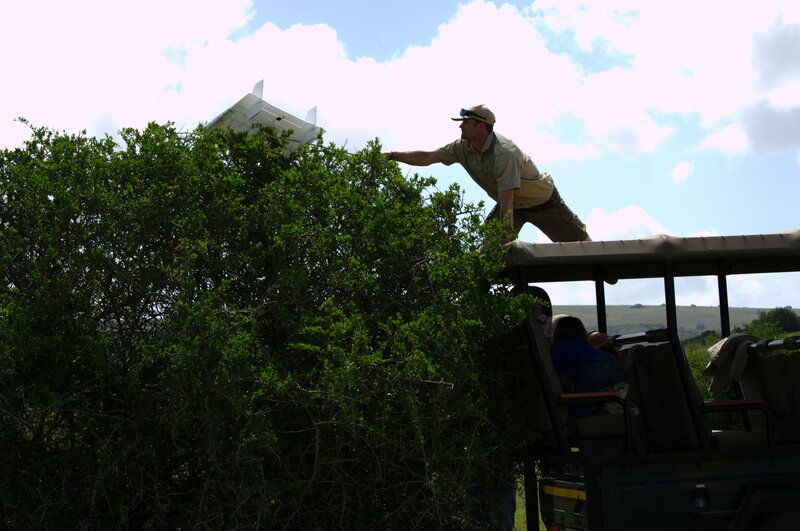 Amakhala obtained special permission to demo a UAV for area farmers and game reserve operators. As with most things, when things go off-script, hilarity ensues. 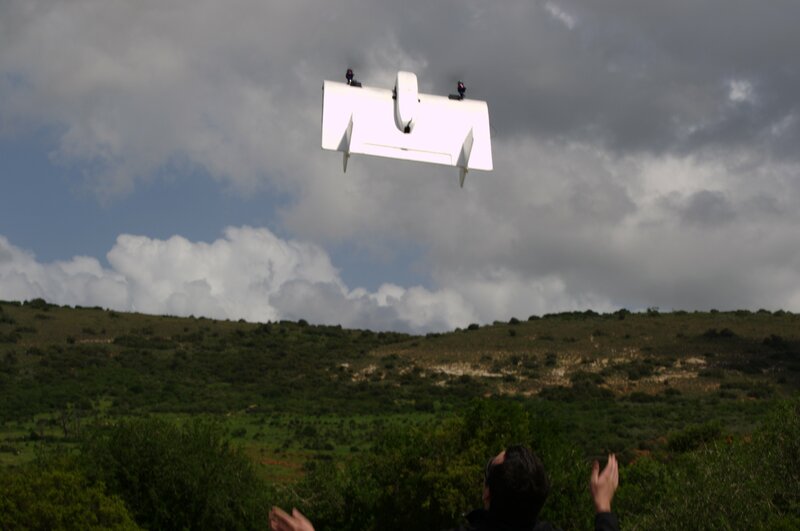 Having landed quadcopters in trees myself, I sympathized, but the errant landing invited some much needed comic relief to an otherwise business-as-usual demo. Even the Pros get their UAVs stuck in trees. Ranger Asher responds. When I visit a foreign country, I try to learn at least one line of a foreign language. The only requirement is that the line has to be either useful or humorous. The three main languages here are Zulu, Xhosa, and Afrikaans. Can I retrieve my unmanned aerial vehicle from your yard? If you are a native speaker and have a better translation, please contribute in the comments. kungaba i ukuthatha imoto yami unmanned ehamba emoyeni kusuka egcekeni lakho? Kan ek haal my onbemande arial voertuig uit jou erf? 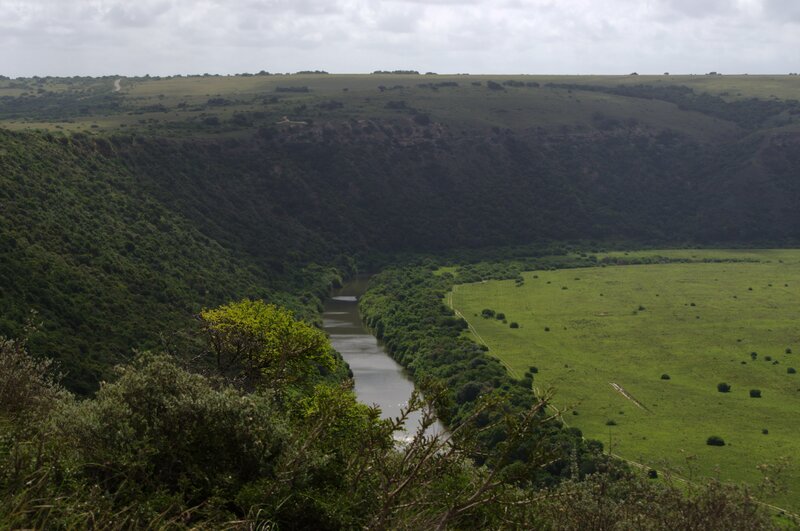 The terrain here is different than in the Skukuza region of Kruger. It’s cooler, less dry, more mountainous and there are smaller pockets of dense vegetation mixed with large open spaces. 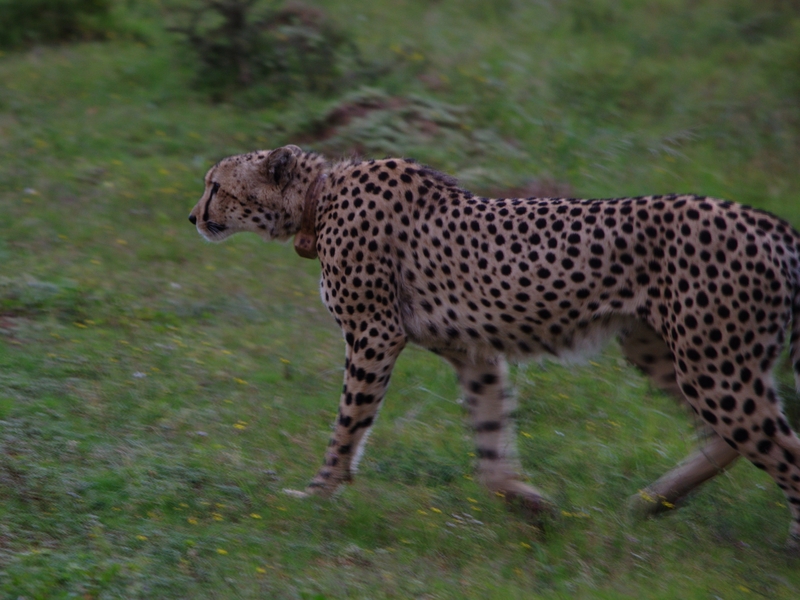 The safaris here are getting us off-road and much closer to the wildlife. The scenery and the wildlife here is enchanting. Norman is popular with the ladies because he keeps the juvenile males in line. 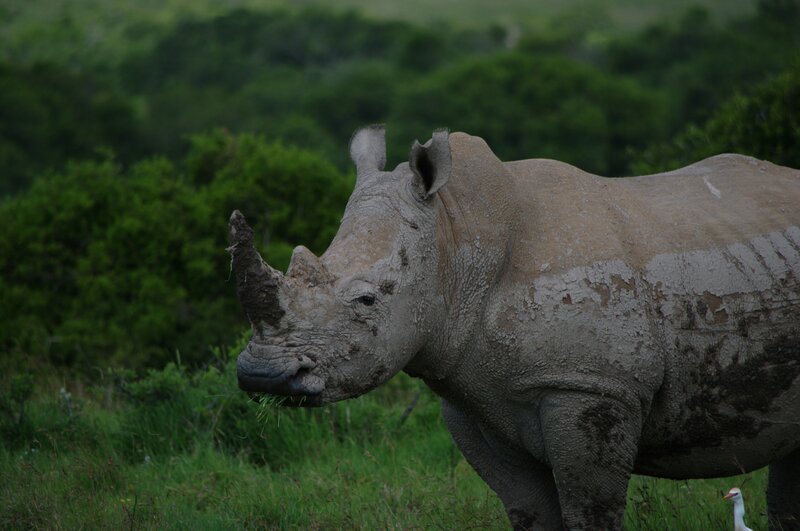 According to rangers, elephants and rhino are not particularly chummy. 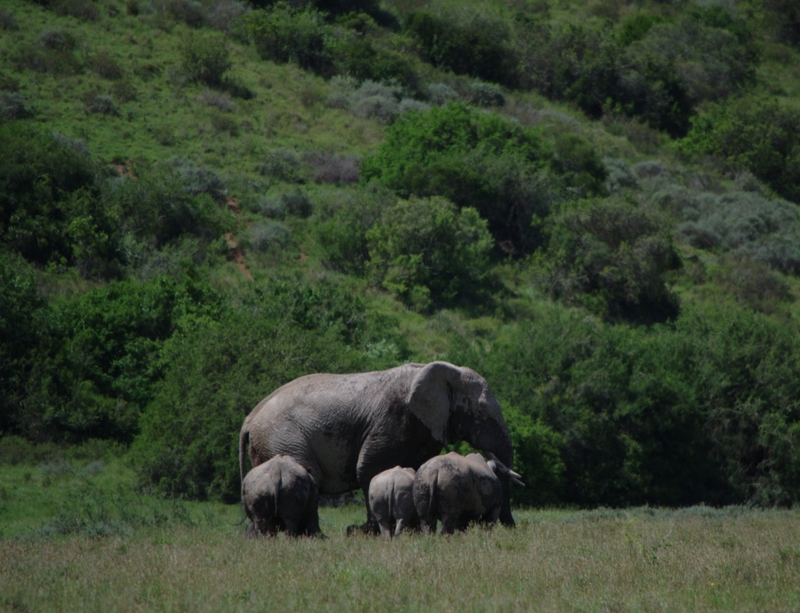 Norman, the elephant, passed uncharacteristically close to a group of rhino without incident. Rangers like Asher develop a strong connection to the animals so the potential for poaching raises the anxiety level for everyone. “We spend a lot of time with them. They all have names. If we lose one (to poaching), it’s like losing a member of our family,” Asher said. The rhino saunter up for their close up. Two adults and a calf. Norman grazes in the background. 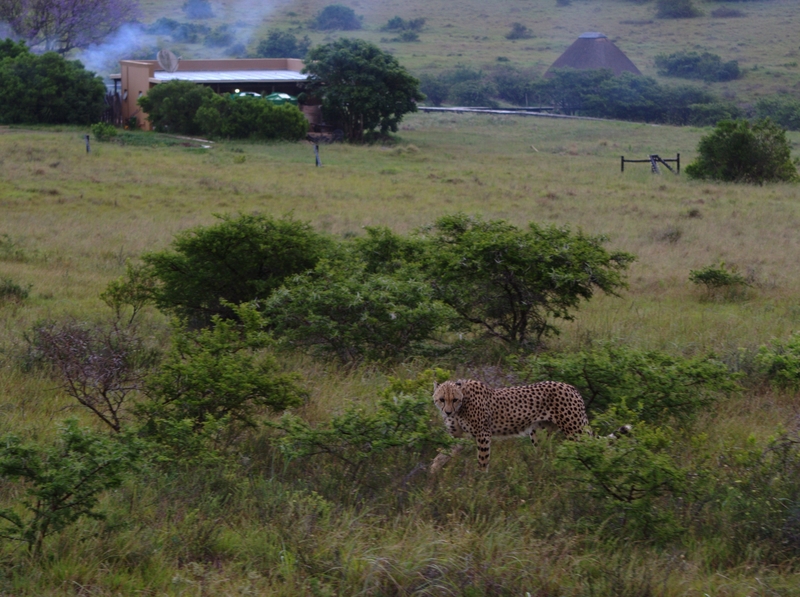 A cheetah was spotted close to the lodge. 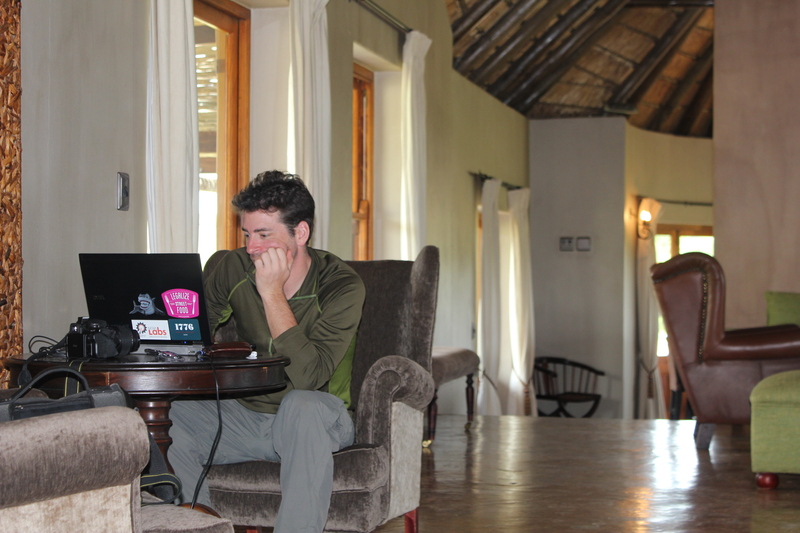 My cameo for the series: blogging from Amakhala’s main lodge.